Electronic schematics are like recipes for electronics. They tell you what ingredients to use and how to mix the ingredients. But instead of using text to explain the recipe, a drawing is used. 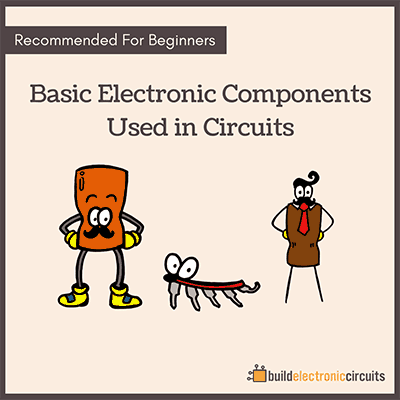 They are also called circuit diagrams. Read how to read schematics here. They are used pretty much in the same way as recipes for food. It is a way of explaining how to reach a certain result. So when you want to build something with electronics, you find a schematic diagram or you create one for what you want to build. When you have your electronic schematics for what you want to build, the rest is all about just following the recipe. A schematic diagram shows you which components that are used and how they are connected. They consist of electronic symbols that represent each of the components used. The symbols are connected with lines that show you how to connect the components. How do they help me create electronic circuits? All you have to do is learn a few practical skills like designing a PCB, where to get your board made and how to solder. How to find electronic schematics? Back when I was just starting out with electronics, I did not know any electronics theory at all. I started out with some simple circuits that my father drew on a piece of paper for me, containing relays and capacitors to make a light blink. I connected the components using wires and an old, used circuit board that I drilled holes in. I was in ecstasy when I made it work! And I got hooked. I needed more circuits. I started looking on the internet and found out you could find schematics to all kinds of circuits. When I realized this, it was like I had found a secret treasure! I was now in possession of information on how to build electronic circuits for all kinds of devices. So if you want to find electronic schematics for a project, just Google it. I am pretty sure you will find most of what you are looking for. Here is a few pages that I like with free electronic circuits. Many people ask me “How do I take the idea I have in my head and make it into a circuit?”. So I wrote an article on how to make your own circuit design from scratch. But I would also recommend you checking out Creating Circuit Schematic Diagrams for an overview of the process. Or start reading about the Voltage Divider, Ohm’s law, Thevenin’s Theorem or Kirchhoff’s Laws. Or go directly to Eagle Schematics Tutorial for a hands on tutorial on drawing schematics in Eagle. If you are not familiar with Eagle, here is a beginner’s guide to Eagle CAD. If you would like to learn more about creating circuit boards, I recently created a Udemy course on creating circuit boards. Check it out! I you are reading this, it means you are really interested in electronics. Go from being merely interested into building your dream project. 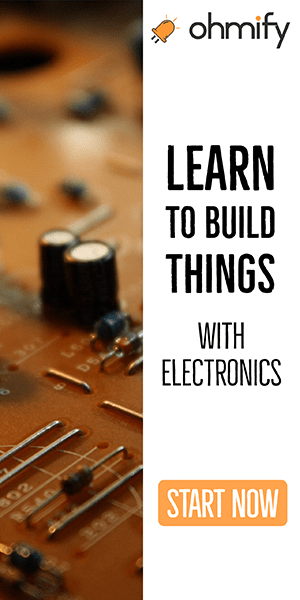 Learn how to build whatever electronics project you want. I MUKESH .Interested to learn electronic design .so pls guide me to learn. I want to buy the text book. Anointing 2349025849624. Very grateful. I have used regulator 7805 for converting 24 volt to 5 volt but ic is going very heat when using, so how can i use it that it will remain cold. Absolute I got some insight here, I will keep it up! hi, we have a project proposal an we need to build a small digital scale, but we dont know how to do it and what are the parts…please can you help me? Thanks very much .You are here for we all we really appreciate .Please how can I get on line electronic repairs some of these electronic gadgets is really taking my time I need your help all I ask please. hows about doing a section on getting projects working, to cover when youv’e built something and it does not work no one seems to cover this anywhere on the internet, thanks john. Iam really interested in electronics. It has always being my desire that I be able to contact someone who might be of help to me with regard to electronics. I am happy you offer to do just that. I’ll keep in contact with you. Thanks. Many thanks for your help and encouragement. 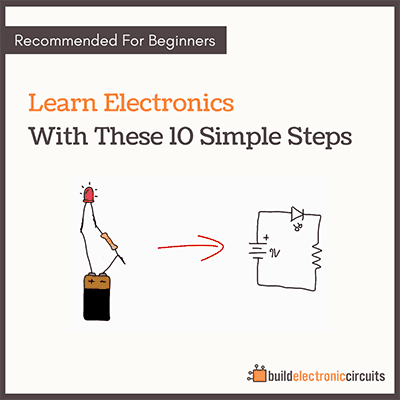 I ‘do really want to learn the basics of electronic circuit from you. Thanks once again.